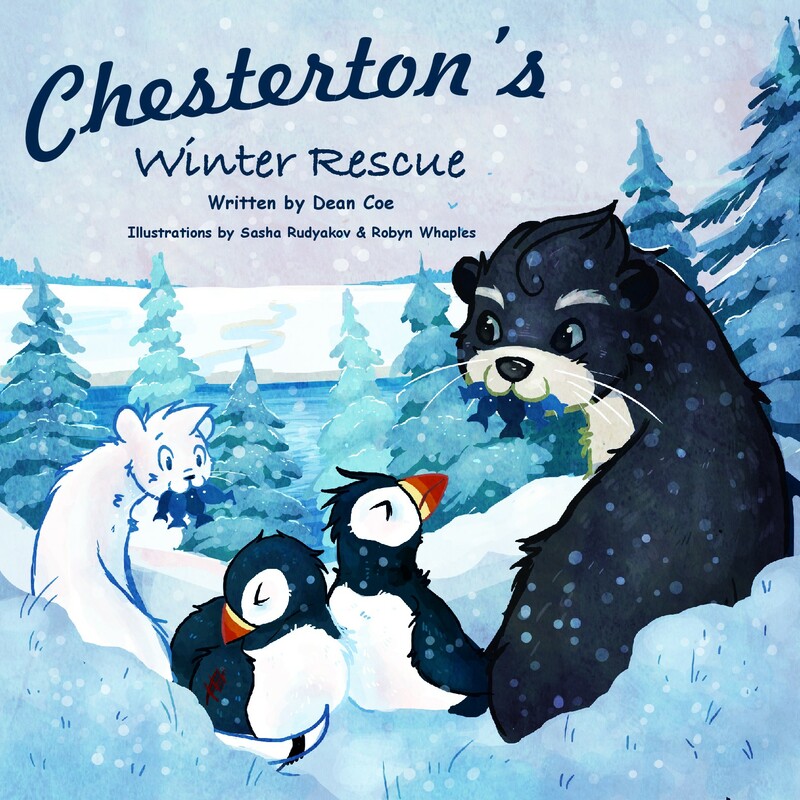 Dean Coe is the author of children's nature books about the adventures of Cape Cod's good natured weasel….Chesterton! As Chesterton struggles for his own survival in a harsh winter, he comes face to face with a couple of battered puffins who have been blown unto land in a severe Nor’easter. Readers are introduced to Chesterton’s cousin, Cousin Otter, who promises to help provide food and shelter to the strange visitors from the sea.